John East spent his entire career in the City. He became a member of the Stock Exchange in 1974 and has founded two Stock Exchange firms. His second company, John East & Partners, was acquired in 2007 and is now part of international financial giant Sanlam. John retired from the board of Sanlam Securities at the end of 2013 and is now a non-executive director of its UK parent and a director of and shareholder in other private companies. He is a member and former deputy chairman of the Carlton Club, a member of the Arts Club, a partner in the 606 jazz club and joint president of Dagenham & Redbridge Football Club. He leads, as an amateur, a professional band, The John East Project. 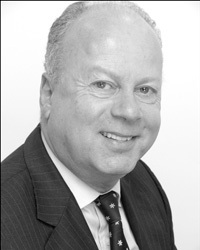 He is a Fellow of the Chartered Institute for Securities & Investment and a Fellow of the Royal Society of Arts.